Langerhans Cell Histiocytosis (LCH) is a very rare form of disorder that involves clonal proliferation of the Langerhans cells, the abnormal cells that are derived from the bone marrow which are capable of moving from the skin to the lymph nodes. LCH results from the clonal accumulation as well as proliferation of cells that resemble epidermal dendritic cells known as Langerhans cells. Due to this reason, it is sometimes referred to as Dendritic Cell Histiocytosis. The Langerhans cells in combination with normal histiocytes, lymphocytes and eosinophils form the characteristic LCH lesions which can be found in various organs. LCH is clinically classified into 3 groups, namely, the unifocal, the multifocal unisystem and the multifocal multisystem. 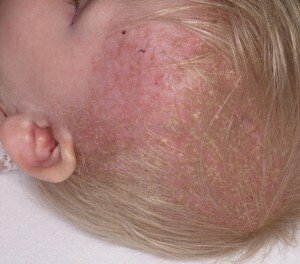 Unifocal LCH is also known as Eosinophilic Granuloma. It is a slow-progressing disease that is characterized by expanding proliferation of the Langerhans cells in the different bone structures. It is a polystotic or monostotic disease having no extraskeletal involvement. This is the main difference between eosinophilic granuloma and other types of LCH variants. Multifocal unisystem LCH leads to fever and formation of diffuse eruptions and bone lesions on the scalp and the ear canals. Almost half of the cases involve the patient’s pituitary stalk and leads to diabetes insipidus. The Hand-Schüller-Christian triad involves the triple symptoms of exopthalmos, lytic bone lesions and diabetes insipidus. This form of LCH is also known as Letterer-Siwe disease. It is a rapidly progressing disease characterized by proliferation of Langerhans cells in many tissues. Multifocal multisystem LCH mostly affects children below 2 years and the prognosis of the condition is poor. Even after administering aggressive chemotherapy, there is only a 50% chance that children up to 5 years of age will survive. It is a form of LCH that almost exclusively affects cigarette smoking individuals. It is now believed to be a form of interstitial lung disease related to smoking. Some patients completely recover from the condition after they have stopped smoking. Others might develop long-term complications like pulmonary hypertension and pulmonary fibrosis. LCH has been commonly thought of as a cancerous condition, even if it is not so. 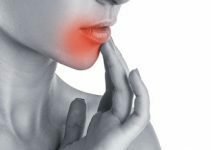 Although the exact specific reason for the development of the disease is still under debate, recently the researchers are of the opinion that it is caused by an autoimmune disorder in which the immune cells attack the body by mistake instead of fighting infections. Tumors are formed by the extra immune cells that can affect various areas of the patient’s body, including the skull, bones and other areas. Genetic factors are believed to be responsible for some forms of LCH. LCH clinically manifests itself in a number of ways, from many isolated bone lesions to several multisystem diseases. It mostly affects children of various age groups, especially children below 2 years. It is caused by the clonal proliferation of the Langerhans cells. Langerhans cells assist in regulating the immune system of the body and are generally found throughout the human body, mostly in the skin, spleen, lymph nodes, liver, lungs and the bone marrow. LCH causes surplus immature Langerhans cells to form tumors known as granulomas. However, the disorder is not normally considered to be cancerous. It forms a part of a cluster of clinical syndromes known as histiocytoses that are characterized by abnormal proliferation of the histiocytes. They are related to diseases like leukemias and lymphomas that are caused by an abnormal proliferation of the white blood cells. LCH causes non-specific inflammatory response that includes lethargy, fever and weight loss. More specific symptoms are caused by organ involvement. Painful bone swelling is the most commonly seen symptom in both the unifocal and multifocal diseases. The skull of the patient gets most frequently affected along with the longer bones of upper extremities and the flat bones. Osteolytic lesions might lead to formation of pathological fractures. Occurrence of pancytopenia along with superadded infection generally leads to a poor prognosis. Various factors can lead to anemia that does not necessarily involve bone marrow infiltration. 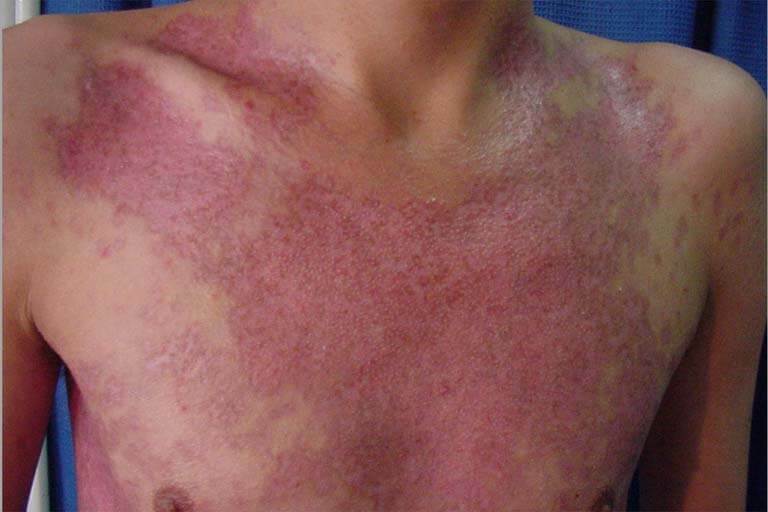 The general dermatological symptoms include rashes that vary from red papules that are pronounced in the intertriginous areas to scaly erythematous lesions. Nearly 80% of patients develop extensive eruptions on their scalps. Some patients show no symptoms associated with lungs. Lung nodules detected on radiographs may lead to an incidental diagnosis. Other individuals may suffer from shortness of breath and chronic cough. The hypothalamic pituitary axis is commonly involved in LCH. Diabetes insipidus is quite frequent. Deficiency of anterior pituitary hormone is generally permanent. In LCH patients, enlargement of lymph nodes occurs in 50% cases. The spleen is enlarged in 30% cases and the liver is enlarged in 20% cases. The central nervous system and the gastrointestinal tract are less frequently involved in LCH. Children aged over 5 years often do not have any symptoms other than those related to the bones. Diagnosis of LCH is confirmed by tissue biopsy. A hematoxylin-eosin stain of the biopsy slide is going to display the various features of the Langerhans cells, such as distinct cell margin and pink granular cytoplasm. Electron microscopy reveals the prominence of Birbeck granules and the positivity of immuno-cytochemical features are more specific. Routine blood tests like full blood count, U&Es, liver function tests and bone profile are conducted to determine the extent of the disease and rule out the probability of other causes. Osteolytic bone lesions and lung damage is revealed by radiology. Lung damage is also confirmed by chest X-rays that may show micronodules around the mid and lower zones of the lung. CT scans and MRI may display infiltrations in sella turcica. The functionality of the endocrine glands is also assessed. A skeletal survey of all bones in the patient’s body is conducted. A bone marrow biopsy is conducted under either anesthesia or sedation. Water balance test is carried out by measuring concentration of the urine specimen which passes after fasting overnight. Other tests that are carried out include pulmonary function tests and bronchoscopy with biopsy. Initially when LCH was considered to be a cancerous condition, it was treated by using chemotherapy and radiotherapy. At present, the treatment methods for LCH vary widely and depend on the extent of the disease. The disorder may vanish without any treatment in a process known as spontaneous remission. Management of LCH is also not necessary if the disease affects a non-harmful area of the body such as a bone that bears no weight. Medical intervention is essential only if symptoms like fever and pain affect the patient or if organs like lungs, liver or bone marrow are negatively affected. If LCH is restricted to a single organ, then local treatment is administered to that organ. On the other hand, a systemic or generalized management is recommended if the condition is generalized. Normally, these are administered intravenously at an interval of 1 to 3 weeks, depending on the condition of an affected individual. Systemic steroids are used either singly or in collaboration with chemotherapy. Radiotherapy is hardly required as the majority of the bony lesions respond well to steroid injection or local operation. A coconut oil ointment is applied on the scalp to treat scalp rash which is then left overnight. A shampoo, such as Cetavlon, is then used to wash it off next morning. After this, the affected areas are covered with an appropriate steroid lotion. The skin rashes might respond well to application of potassium permanganate solution followed by application of steroid cream or lotion. Instead of soap and water, a preparation of cleansing cream should be utilized for bathing. Endocrine deficiency generally requires lifelong support. Diabetes insipidus can be treated with desmopressin and pituitary hormone pitressin may be given for water balance. Both of these are usually administered as nasal drops for 2 to 3 times a day. Most children having LCH survive the disease. Each child responds differently to the treatments for LCH. If the patient is an infant, the chances of LCH being severe in form are much greater. Diseases affecting the liver, lungs, spleen and bone marrow due to LCH are difficult to treat. Although not fatal, LCH may leave a child with chronic problems like breathing problems, deafness, chronic ear discharge, protuberant eyes, unsightly scalp lumps or diabetes insipidus. Single system disease often cures spontaneously. Multi-system LCH may remit spontaneously but usually requires treatment. In some cases, LCH might eventually lead to death. Take a look at these pictures to get an idea about the visual appearance of LCH. Although severe cases of LCH might lead to chronic health issues or even death, it is also known to be healed spontaneously in many cases. In general, effective medical management of the condition allows patients to lead long and healthy lives.